Elke Govertsen took the stage at the Top Hat Lounge on Monday and explained how, in October 1975, the women of Iceland went on strike for a day to protest wage discrepancy and other employment issues. Led by women’s rights organizations, nearly 90 percent of the nation’s female workers didn’t show up at their job that day. Those based at home didn’t perform any childcare or household duties. The event went down in Icelandic history as “the long Friday.” It also opened the eyes of Parliament, which passed a law guaranteeing women of that country the same rights as men. Govertsen, a former Alaskan welder, joined state Sen. Diane Sands, D-Missoula, and other prominent women on Monday to affirm that equal pay for women is, in fact, a big deal. Gianforte went on to explain in the “Voices of Montana” radio interview that capable women should earn more. Govertsen, the mother of sons, took issue with the candidate’s statements. Like others present at the Missoula rally, she said it’s time to move the dial, saying the issue needs leadership from the Legislature, as well as the state’s business community. 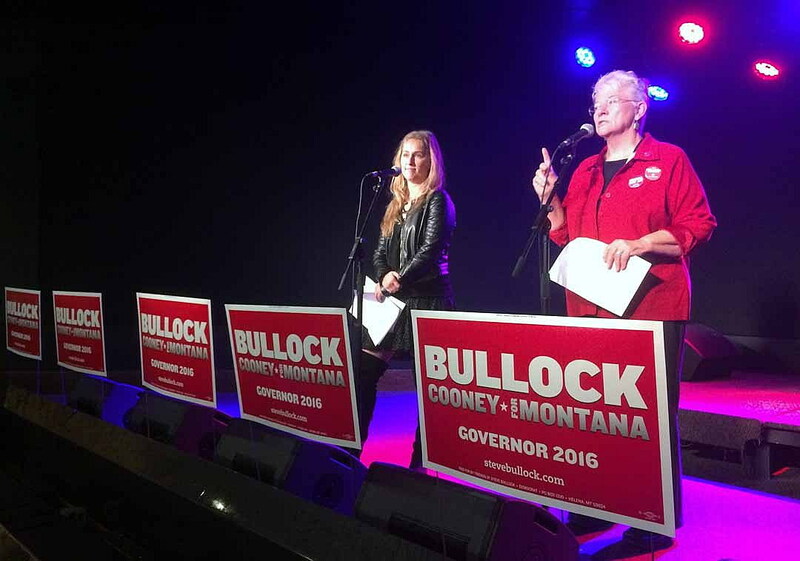 According to the Equal Pay for Equal Work Task Force, which Bullock established in 2013, women who work a full-time job in Montana earn 74 percent of the median earnings compared with men. The figure places the state 45th in the nation for pay equality. The task force attributes a portion of the pay gap to women working in traditional low-paying occupations, such as sales and office support. While some of that is determined by worker choice, the task force said, women are also less likely to be hired into higher-paying jobs. The pay disparity may also be attributed to discrimination in hiring practices, including the habit of some employers to ask new hires about their former salary. To address that and other issues, the Equal Pay for Equal Work Task Force has fronted a number of recommendations. Bullock has called for an end to questions on previous salary, and he recently directed an audit to determine pay distribution and career advancement in state government. Sands also looks to reintroduce the Paycheck Fairness Act. The bill was first introduced in 2015, but failed to make it out of committee. Sands said the measure would provide wage transparency. Montana was the first state to pass equal pay legislation. That was in 1919 – pushed by Maggie Smith Hathaway, one of the state’s first female legislators. The national Equal Pay Act of 1963 also moved to prohibit gender-based wage discrimination. While both efforts marked progress, those present Monday believe more must be done to resolve the issue once and for all.